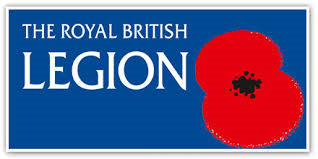 Central to the responsibilities of the Royal British Legion is their charitable and welfare work. Hundreds of thousands of times every year the Legion nationwide is called upon for help and advice. The Legion can lend a hand with those complicated claims forms, representatives visit the lonely in hospital and in their homes, advice can be given regarding war widow pensions, and can undertake proceedings on behalf of individuals at tribunals, sometimes even assisting with the costs. The Legion is a non-political organisation whose reason for being is to help the ex-Service community. By contacting your local Branch we are able to offer help and expert advice wherever and whenever it is needed. If you are lonely then we can visit and chat also. Therefore, please feel free to make contact with us with total confidence of complete anonymity should you require assistance.